WEST PALM BEACH, Fla.- The International Hot Rod Association (IHRA) Summit Sportsman Spectacular heads into the last race of the season (October 5-7) at Farmington Dragway, Mocksville, N.C.
Pre-entries are available until Thursday, October 4. Click here to pre-enter. Enter to win a FREE Weekend Entry with our Facebook Giveaway! Like, Share, and Tag a friend on the Giveaway Post on the IHRA Facebook page. The winner will be announced on the Facebook post on Thursday, October 4 at 12 p.m. est. 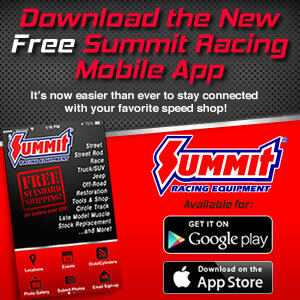 •Summit Racing Equipment will now pay Summit Racing gift certificates for the win, runner-up and semifinal positions. •IHRA partner Imagine That Customs will also award a one-of-a-kind custom painted trophy helmet to one competitor at each of the 10 weekends.